Most users perceive a Search Engine as a place where you can enter the most enigmatic phrase and get relevant search results making the Internet to instantly shrink to a manageable size. A search engine uses a web spider (an automated script) to copy and store information about web pages content and uses this information to respond to a search. Search Marketing or Search Engine Marketing is the process of gaining visibility and traffic from search engines through both unpaid (SEO) and paid (PPC) efforts. 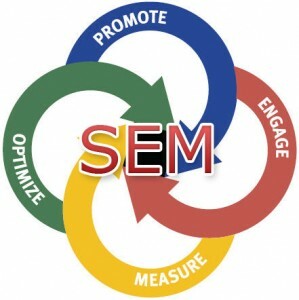 In other words, SEM refers to everything that can be done to utilise the search engines technology to promote a website, increase its traffic, online presence and, increase profits or leads – whatever your online goals might be. The SEO and LSEO process involves acquiring or rather directing web traffic to your website through free, organic, editorial or natural search results on popular search engines. This is achieved by employing effective, engaging techniques to increase your website, blog or landing page ranking on major Search Engines such as Google, Yahoo and Bing. The difference between Local Search and Organic (traditional) search is that Local Search involves optimising your business location while organic search is all about optimising your website as a whole. For example, you can’t do local SEO to eBay as they’re worldwide and users sell countless different products in countless different locations whereas you could do local SEO for an Italian restaurant in Glebe as they’re targeting a different audience and are not global. This refers to the practice of paying a directory or a search engine to immediately add a website or blog to its database, instead of optimising that site so that the search engine spiders will find it on their own. Thus if you are willing to pay, your site will be listed sooner. These can prove to be very useful for long term strategies for businesses that have a large budget. Some favourites that businesses use are Yahoo Directory, Best Of The Web and Business.com. PPC are simple text/image advertisements which are completely controlled by the advertiser. The advertiser chooses which keywords to use in the ads and also how much to pay. As the name suggests, you get to pay for an ad only when it is clicked and brings leads to your site. 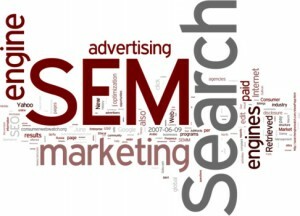 Search Engine Marketing focuses on three areas: Relevance, index-ability, and authoritativeness. Index-ability refers to how to optimise your website to search engine spiders so as to rank high in the search engines. Although some web spiders can process non-textual information/data to some extent, they do not do it well. There exist various SEM design nuggets that webmasters can use to help feed a search engine spider with relevant information about their website to improve their index ranking. For instance, this can be as simple as introducing HTML ALT tags in your graphics. For example, imagine a user that has images disabled. They would see a blank white spot, however, if you implement an ALT attribute to the code then it will display the text within the ALT attribute for users that don’t display images. This is exactly how a search engine spider views your website when crawling through your pages. Your website needs to be relevant to what your services and/or website is about. Proper keyword research is a must when attempting to increase your websites search engine ranking. There are tools which can be used to aid you in your keyword research such as the Google Adwords Keyword Research tool (You need to sign up for an Adwords account which is free). There are also paid tools which can be used to do your keyword research such as Market Samurai. Knowing your competition is key when building your website for relevance. Make sure that you research competition accordingly for the keywords that you’re trying to primarily target. This can be done through tools such as the Moz Keyword Difficulty Tool or by simple looking on the first page of Google and checking the PageRank of the top websites. You can also dig deeper and go through their backlinks with tools such as Ahrefs to find out how much backlinks they have and how powerful they are. Once your keywords are selected, it is advisable to map these keywords throughout the website to ensure that the proper relevance is seen by the search engine spiders and your website is ranked accordingly. This is part of the On-Page SEO process. This is done through various methods on the page source code such as altering meta descriptions, title tag optimisation and content optimisation. Just as community involvement and branding is beneficial in a brick-and-mortar world, industry visibility and popularity are rewarded by search engines. If you manage to position your company as a knowledgeable and trusted specialist in your field, it will have a wider Internet presence and the search engine will evaluate your site being more relevant and popular, which in turn will boost your rankings. This is a process that can take weeks, months, even years to gain depending on the industry you’re in and the level of competition before you. SEM is essential for any business that wants to reach their online goals whether it be making more sales, generating more leads, or simply to drive traffic to the website. Without a proper strategy online, gaining exposure to your website can be quite tedious.